We will NOT adopt out any of our bulldogs to homes who have an invisible fence or to any home that may consider utilizing an invisible fence in the future. This is a NON-NEGOTIABLE. As many of you probably know, I'm a big advocate of fear free, force free training. Our contract mandates that you only use positive based training with your adopted dog, and never use a choke chain, prong collar, or shock collar. An electric fence is simply a shock collar. 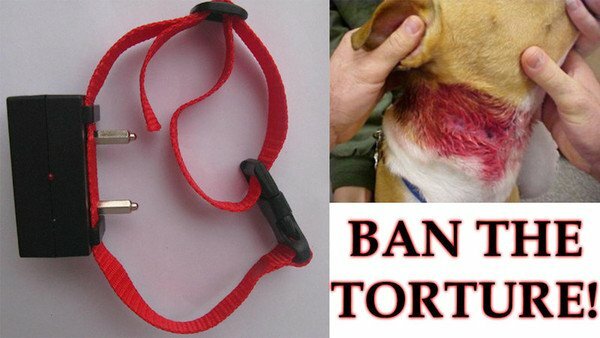 Dog shock collars hurt, and they do cause harm. Science is catching up and proving shock collars are considered dog abuse. Some will argue the shock is minimal and doesn't hurt. They're wrong. Let me ask you this - if it doesn't hurt, how does it work? The shock is a punishment, meant to cause pain in an attempt to deter unwanted behavior. An electric shock is sent through a special collar when the dog gets too close to the perimeter of the "fence." Many systems implement a vibration or a high-pitched noise as a warning as the dog gets close shock perimeter. However, this means the dog must learn that this invisible line equals pain. It's a vague concept that often makes a dog equate the yard in general as a scary, unsafe, and painful place. This can results in causing anxiety and reactivity in dogs. 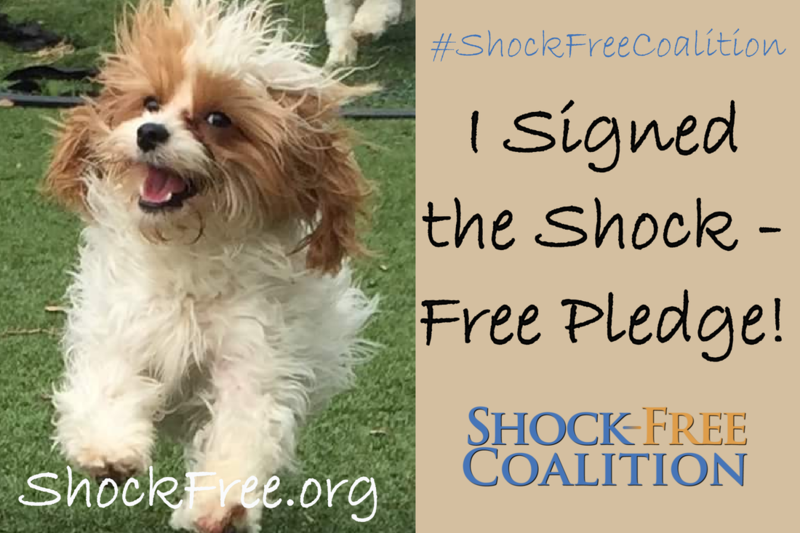 A dog restrained by an electric fence may learn to associate the sensation of the shock (the punishment) with something completely unrelated to the fence. For instance, if the dog runs up to the boundary to greet the another dog and is shocked, he may associate the other dog with his pain. Even a friendly dog can become agitated, fearful or even aggressive when a stimulus is consistently associated with pain or a threat. Cross the perimeter, enduring a shock to escape. They then have to cross back over the shock perimeter to enter the yard. Many won't do this and your dog is literally prevented from returning home . Face the predator in their yard, resulting in injury or death. In the heat of the moment, whether it's chasing another animal such as a squirrel, or children who have been taunting your dog behind his "fence", adrenaline kicks in and the dog charges past the shock. Invisible Fences are not only dangerous to your dog's emotional health, but also to their physical health. One of the risks of this type of fence is malfunction. 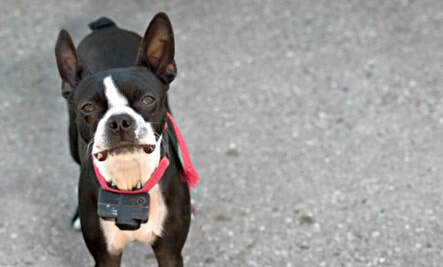 Dogs have been known to accidentally be electrocuted while wearing the shock collar. 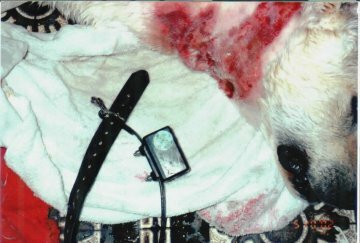 Some collars have also shorted out, causing a dog to be seriously burned. ​​You are placing your dog at risk of THEFT!!! I see dogs unattended in their yards all the time, prevented from leaving by an invisible shocking "fence." It takes minutes, only seconds perhaps, for a person to drive up to your yard, grab your dog, and take off. 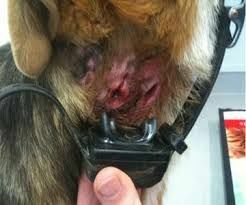 Shock collars can be removed. They do NOT keep your dog safe in your yard. And quite frankly, someone who is stealing your family member is likely not going to be too concerned that the dog is being shocked on the way out of the yard. Even if you're watching your dog from the window, by the time you race outside your dog could be loaded up in a car by a thief, never to be seen again. I've heard countless stories of dogs being stolen right out of their yard. Invisible "fences" are a false sense of security. It breaks my heart to hear story after story of dogs stolen from homes with Invisible Fences. It's NOT WORTH IT!